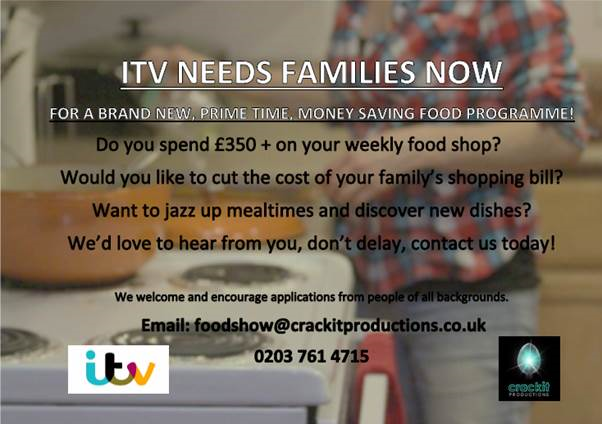 are currently looking for big spending families from Hertfordshire who regularly spend £350 + on their weekly food shop. Taking part in the show would give them the opportunity to help reduce their food shopping bill and learn some tasty new recipes. If you are interested in taking part in this show, please see the below attached poster for details on how to apply.